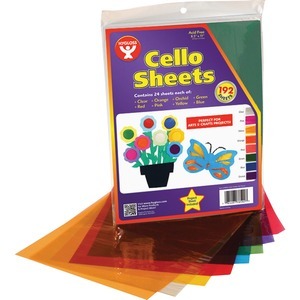 Cello sheets are exciting craft supplies that add an element of individuality to your projects, displays and games. Cellophane can be used for exciting science experiments as well. Introduce various levels of light absorption by shining a light through different colors of cellophane and observing how the light comes out differently with each color. 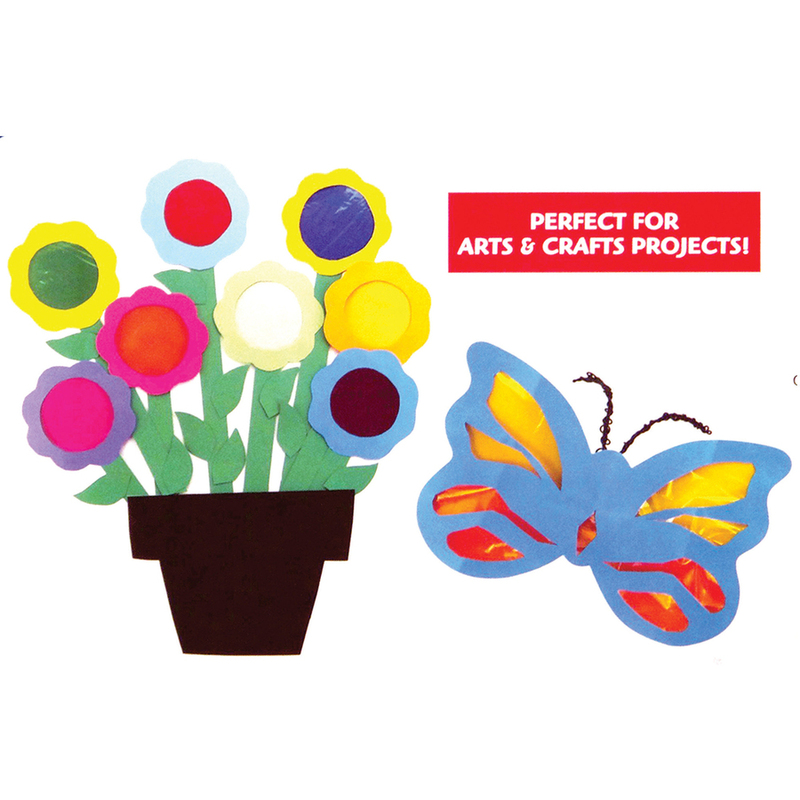 Plus, these sheets are perfect for teaching the concept of color mixing by simply putting one transparent color on top of another to discover what color they make when combined.